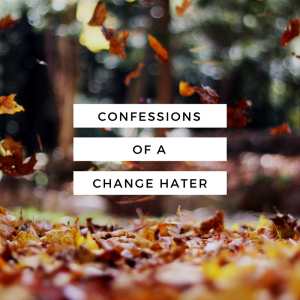 Hi, my name is Amy, and my confession is that I hate change. So, I started this post about six times before actually committing to this particular topic. Does that qualify for irony? For someone as indecisive as I can be, change is really not a comfort zone for me. At all. I grew up in the same house, in the same town, with the same friends until my mid-twenties. It took 20 minutes to drive to my favorite place in the mountains. I had two favorite coffee shops, and a close-knit circle of amazing friends. I loved to travel, but mostly I loved coming home to my room, my things, my friends, my corner of the world. So when I married a military guy, it was jarring to say the least when I made that first move away from my home. Honestly, life became pretty difficult for me. I felt lost without my support system, without the familiar landmarks I loved. I didn’t know how to live on my own without them. Even the seasons felt “wrong.” Each time we relocated, there was new territory to learn, new friends to make, new hangouts to discover. I now got to learn how to call unknown places, “home.” And I despised it. Have you ever made a decision, covered all your bases, done all the research, and then committed to it — and afterwards found out on the flip side that, well, this wasn’t exactly what you expected? Maybe it’s a job. Maybe it’s a relationship. Maybe it’s even something small. No matter, when this happens, sometimes well-meaning people will tell you that, “You have no excuse to complain, since you knew what you were getting into on the front end.” I think they mean it as a tough-love kind of way to remind you that, once, you believed that this was the right decision for your life. And you need to see it through. Though they may be correct, I haven’t ever found it to be that helpful of a statement. Words like that made me more unsure about making decisions — what if a decision that looks good on the outside actually turns sour? How can I be sure it won’t? As you might guess (or maybe you’ve also learned), this is an exhausting way to live. So I had to figure out a way to get out of this paralyzing mentality. For some reason, the simplest answer is sometimes the most overlooked, like prayer. And that’s probably because I used to pray and tell God I wasn’t happy with where He’d put me, and that I’d (respectfully) like Him to make it possible for me to move to my comfort zone. Yeah. I’ll let you smirk at me on that one. I was always disappointed because He didn’t give me what I asked Him for. I was recently challenged to approach God with the attitude of Mary (Jesus’ earthly mother) at the wedding in Cana. Present Him with the problem, and then step back and let Him take care of it in the way He will. It’s that stepping back part that gets me every time. Not telling Him how to handle my predicament. But when I started presenting my concerns about change to Him in this way, I noticed that I was granted peace and calm, more than a reversal of my situation. Because of that stillness, I was able to grow in my new place, rather than stay paralyzed in fear and frustration. Music has always been a refuge for me. Finding lyrics, or even instrumental pieces that speak to me during times of change, has always helped me deal. It becomes kind of exciting to find the new soundtrack for this upcoming challenge, similar to when I’m choosing music to inspire a writing project. One of my hands-down favorite bands is Switchfoot. We got to go to one of their concerts recently and I about died of happiness, but that’s another story. Anyway, their song, The Shadow Proves the Sunshine, is one that I’ve listened to on repeat when faced with transition. It’s a reminder that our difficult times actually accent the beauty in life, and God knows I need to remember that often. One of the things moving has given me is an array of new friends each place I’ve lived. And I know that I’d regret never meeting the people who I miss the most. He’s given me cognizance of the difference of skies across the U.S. He’s given me the opportunity to be present in critical times for dear friends. I’ve witnessed both amazing and heartbreaking moments that I never would have, if I had stayed in my comfortable Hobbit Hole. And I’ve been given an appreciation for the depth that distance can give a relationship. 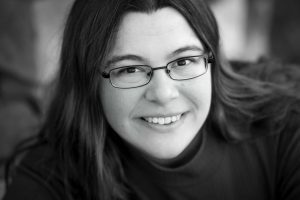 Amy Davis is a writer, mother, lover of hot drinks and nerdy things. 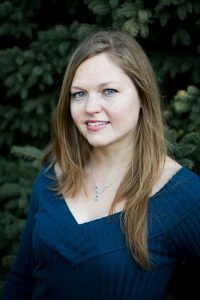 She’s also a co-founder and Acquisitions Manager at Crosshair Press (crosshairpress.com) where she blogs monthly. She occasionally tweets on Twitter (@afielddavis) and posts on her personal blog at writingandrhythm.com. 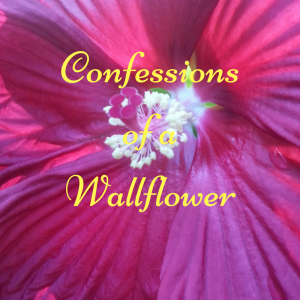 Today, I’m so excited to welcome a new friend of mine, Chaka Heinze, to the Confessions blog series. She has quite the interesting take on fear. Read on, my friends! Fear slithers up to coil heavily on my chest in the night as I consider the conversations of the day, the well-being of my children, the lunacy of the upcoming election, or the depravity and violence that is becoming a daily occurrence both in America and around the world. Fear strikes at me with unbridled venom whenever my son has a heart event and we end up in the hospital again. If you think about it, there are countless manifestations of fear to contemplate from the moment you get up in the morning until you fall “safely” into bed again at night. I won’t name them all here, because focusing on fear has a way of empowering the beasties and turning garden snakes into leviathans. 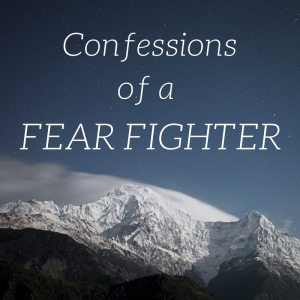 As a child, I had one major weapon against the fear—I could control the narrative. If I had free time, I read. If it was time to go to bed, I told myself stories. Books and my stories were a safe place to test boundaries, have adventures, and explore the environment around me. During those days, I sometimes existed in the realms of dragons and elves or in the mind of another child tiptoeing through the minefield of puberty. And during the night, I imagined myself the main character in some fantastical drama in which I saved the world and got the boy. Well, sometimes … I just got the boy. Fear drove me into the inner workings of my own imagination. And in there I learned to make magic. As a grownup (a title that can only be loosely applied), I still wrestle with that great snake. Fear. But let me be clear—the beastie is no longer my master. This heart is under new management. Though fear still lurks about the edges striking at my heels whenever it senses a vulnerability, it no longer controls, stifles, or prevails (for long). But I’m grateful. Instead of tearing me apart or killing my dreams, dealing with the fear helped me to find my voice. Both my spiritual and mental muscles have been strengthened in my battle against the simpering nuisance. So I have a confession to make. I struggle with fear, and that’s okay. Because I know how this story ends. Chaka Heinze lives in Nebraska with her husband, four children, and two havanese pups. She is a keynote speaker with the ministry Wholly Loved and enjoys talking to groups of women about the faithfulness of God through difficult times. Chaka has always admired C.S. Lewis and desires to emulate his ability to glorify God without slapping people in the face with religion. 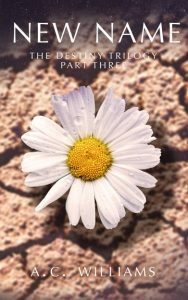 Her debut novel, Under A Withering Sun, is in the process of being re-released (stay tuned for more details). She is a member of ACFW and NWG. Find out more on her website: chakaheinze.com. I am an artist, but I’ve only recently accepted it. Growing up in an uber-practical Midwestern family, as a rule, artistry was something to be respected and grateful for, but it wasn’t highly valuable as a skill. So instead I focused on achieving practical things. Being organized. Being reliable and responsible. Changing tires, balancing check books, making lists. Life skills and algebra (*shudder*). But I was only ever truly happy running around outside in the fresh green grass of the back pasture at our family farm. Sticks became energy weapons. Towering sunflowers became leering villains who needed a beating. I climbed apricot trees and pretended I could glimpse my imaginary world through the blossoms. I blasted soundtracks in my bedroom and paced in circles, letting the vigorous strains of Anastasia and The Phantom Menace choreograph action sequences that could keep Weta busy for decades. But I didn’t really write it down, and I certainly didn’t take it seriously. I was just playing, and the real world mattered more. Fast forward 20+ years. I tell stories for a living now. The first novel I ever wrote hit the shelves in March of this year, and in December of this year, the third book in my Destiny Trilogy will be available too. You can pre-order it right now, actually (http://crosshairpress.com/books/destiny-trilogy-3/). Conquering the fear of sharing my words with the world began with understanding that God gave me a gift. Not everyone can write, and I had a choice to use my writing for myself or for God. My choice? God gave me this gift of words, so why wouldn’t I want to give it back to Him? And that’s where my real confession begins. I am an artist, but I’m a practical one. I’m convinced that my practical upbringing helped me get to where I am now. I’m an artist who can run a business, who can understand accounting, finance, taxes, and insurance. I’m an artist who can pinch pennies, make deadlines, plan ahead, and manage people. I’m an artist who has finished 40 novels, averaging 55,000 words each. I’m an artist who lives and dies by the clock and the calendar. That’s great, right? Because everybody can count on me. Everybody can look to me for answers. Everybody can come to me, and I’ll solve their problems. So it is great for an artist to be practical, especially if you have a caretaker streak in your personality. But if you’re an artist, you can’t always be practical. I thought I could be practical all the time and still harness the heart of an artist whenever I felt like it, but I’ve learned it really doesn’t work that way. If you don’t have an artist’s heart, you may not understand. A practical heart can be refreshed and renewed with productivity and accomplishment and a good night’s sleep. An artist’s heart needs more than that. An artist needs to create. Without boundaries. Without rules. Without judgment or criticism. Artists need freedom to dream as big as they can imagine, whether it’s possible or not. What the practical would call a waste of time is the artist’s lifeblood. I’ve straddled the line too long, too afraid to accept my own artistic heart. I think I feared some Kafka-esque metamorphosis that would change me from a reliable person to a flake who couldn’t be trusted. And I can’t think of any greater horror than disappointing people who love me. At the same time, an artist confined to practicality is like growing a flower in water. It’ll grow, but it needs more if it’s going to thrive. I am an artist, and avoiding that fact isn’t helping me. God wove my soul together. God made my brain this way. He knew exactly how weird I was going to turn out, and He still said it was good. So maybe I should too. 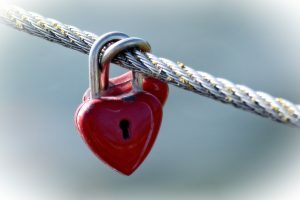 If God gave me this heart, if He gave me this gift, why am I afraid to embrace it? God doesn’t work through fear. He never has. Doesn’t mean we shouldn’t fear Him. I mean, heck, think about who He is. I fear Him, believe me. But I know He loves me. I know He’s good. And I know His plans for me are better than I can imagine. I can be a practical artist. So can you. They aren’t mutually exclusive. Actually, both practical folks and artistic folks could benefit in learning from each other. One isn’t better than the other. One isn’t wrong and the other’s right. Usually, they’re both wrong, and the truth is somewhere in the middle. I’ve been hiding from my own heart for years, and I’m done with it. This crazy, quirky, random heart God gave me belongs to Him anyway, so I shouldn’t be afraid of it. As long as it’s focused on Him, I’ve got nothing to worry about. So blow up the box. Set fire to the rule book. Wipe the slate clean. God made me an artist, and I’ve got a job to do. Are you hiding from who God made you to truly be? Or just scared to be that person? 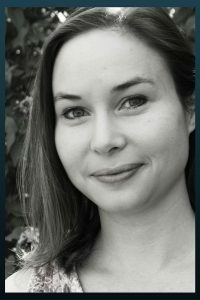 Amy Williams is a novelist, freelance writer, founding member of Crosshair Press LLC, and professional nerd. 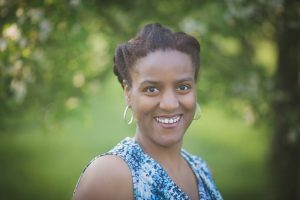 You can find most of her work under the name A.C. Williams, but she also writes young adult fantasy (The Legend of the Lightkeepers) under the pen name Kimberly McNeil. Amy is single and lives in her family’s 100-year-old farmhouse on five acres in the middle of the Kansas prairie. She loves cats and drinks far too much coffee. Follow her random adventures on Facebook (AmytheStoryteller), Twitter (@acwilliams05), Instagram (@acwilliams05), and online at amycwilliams.com. 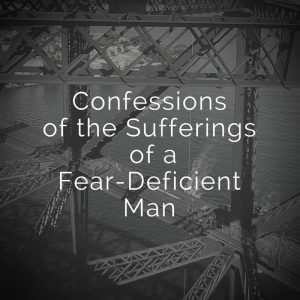 I originally titled this post, “Confessions of the Sufferings of a Fearless Man” with the intent the title would do what all good titles do well—grab your attention. It’s not, however, exactly true that I’m “fearless.” No, I do have fears, but when I look back at my life I would have to say I didn’t have nearly enough of it for my own good at times. It happens to be the case that a lot of the fears I have come from bad things that have happened to me as a result of risk taking—fears I’ve acquired over time. In fact, you may have never really considered it, but the function of fear is to keep a person from doing stupid things that get you hurt. I mean, in stories it’s normal to admire the person who shows courage, but there’s a reason we all see that as a rare trait. Because showing courage is an awfully good way to get hurt. Not always, but often enough. In other words, if courage were common or easy—well, they’d be a lot more people in the Emergency Room. Now, I did actually have some instinctive fears as a child. I was, for example, afraid of the dark. Which, other than tripping over a random object a time or two, has never actually hurt me at all. Unlike most of the things I felt no fear of until I got hurt. Like falling. Sigh. So again, I never was really “fearless.” I just didn’t have enough fear. Fear-deficient. There are dozens of examples of this sort of thing with me: Learning you DON’T randomly walk behind a horse unless you’re comfortable with getting kicked. No, you CAN’T win a fight with a school bully who has an adult body build when you’re still a kid, based on pluck alone. No, you CAN’T randomly say any thought that passes through your head—people will judge you for it. No, it ISN’T a good idea to drink tap water in a third world country. Etc. As a writer, one of the things I do is portray different types of people. I’m aware of people who are cautious and careful and insightful on a daily basis. As much as I’ve learned to act more and more like that the older I get, it’s not my basic personality type. Which is to take huge risks—and at times, to suffer hugely from them. But over time, I have come to resemble someone who is naturally cautious. About most things. At least some of the time. To my fellow authors in the world, I ask you to remember how risk-taking can be a personality type when you write characters. Please also remember that things don’t always turn out for the best for risk-takers. Fear exists for a reason—while there are benefits to showing courage, it can also turn out badly. And the best brave characters feel fear but press forward anyway—but bear in mind there exist a certain group of people who don’t feel very much fear at all. If you happen to be someone who lives with a person who keeps doing dumb things that you think any sensible person would know not to do—say it’s a male teenager or young adult in his 20s—please be encouraged that it’s at least possible sometimes for that person to learn to develop some healthy fear over time. But he will unfortunately have to suffer some pain during that learning process. That’s what it took for me. Travis Perry was born in Montana in 1968 and raised in that state. The Crystal Portal, published in 2011, was his first novel. He also contributed to the short story collections Stories From a Soldiers Heart, Aquasynthesis, Aquasynthesis Again, Avenir Eclectia Volume 1, Colony Zero, No Revolution Too Big, Medieval Mars, and Avatars of Web Surfer. 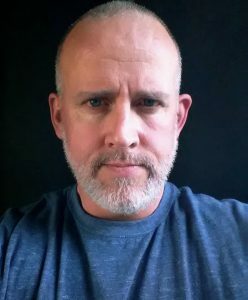 An Army Reserve officer who deployed for the Gulf War and later to Iraq, Afghanistan, and Africa, his writing reflects his lifelong interest in science fiction and fantasy, his strong Christian beliefs, and his knowledge of modern warfare.